The US Congress passed the debt ceiling and Hurricane Harvey relief bill yesterday, and Trump quickly signed it. 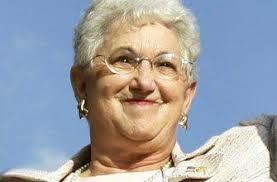 In the US House, some 90 Republicans voted against it, including Madam Virginia Foxx, who's rarely (ever?) voted to help anybody caught in a catastrophe. Those 90 Republicans, and a good number of other Republicans who ended up voting for the "deal" hatched between Trump and the Democratic leadership but who actually and actively hated it because it was a deal hatched between Trump and the Democratic leadership, made their displeasure known earlier in the day when Trump's top lieutenants came to Capitol Hill to woo them.